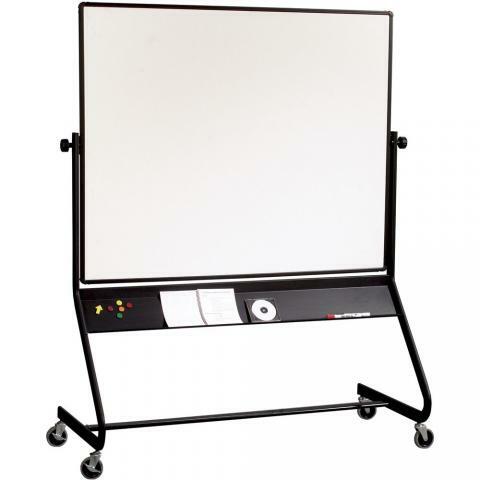 This Double Sided Whiteboard is made from a high pressure laminate whiteboard surface. The Double Sided Whiteboard rotates 360 degrees and locks into place. 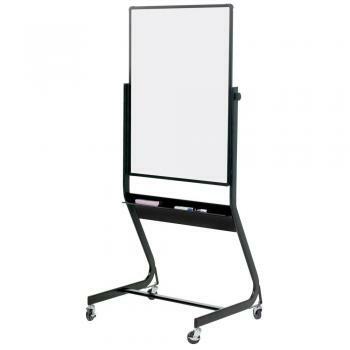 The black anodized aluminum whiteboard frame rolls on 3" locking casters. Included is a full length, extra deep accessory tray.